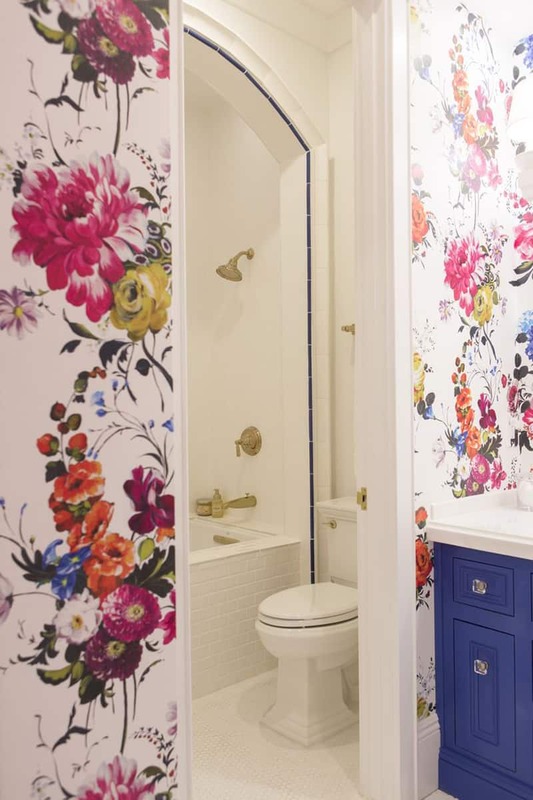 A flower wallpaper will open the door to fairy like universes. I know it sounds a bit strange, but these fantastic and extremely fine ornaments have the power to transform the common sites into dreamy lands. What’s on the list? 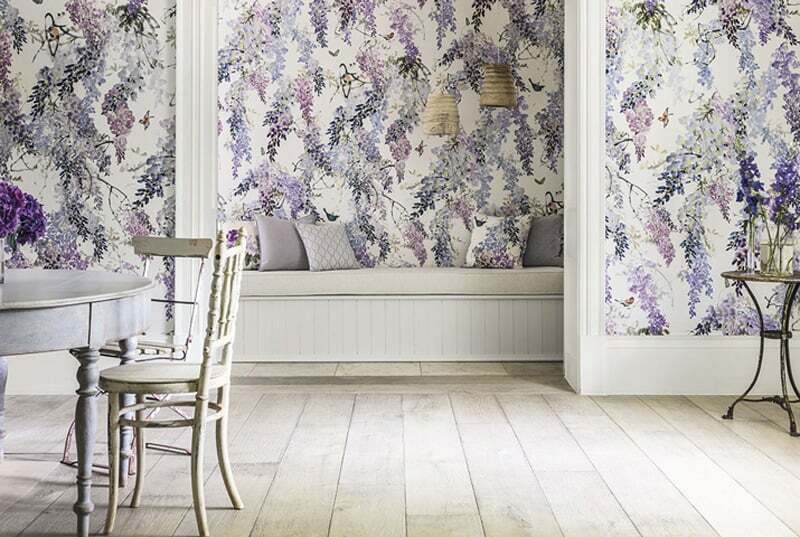 Lavender fields, bouquets of roses or baskets with imperial lilies are amongst the must-have items of the season. Outlined by strong hues or sweetened with mild lights. 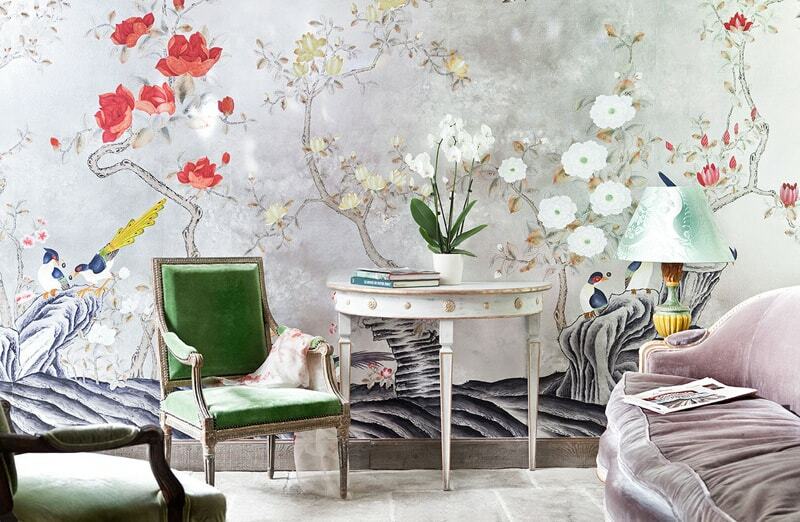 They all deliver delicacy, joy, refinement and a breath of fresh air in our interiors. 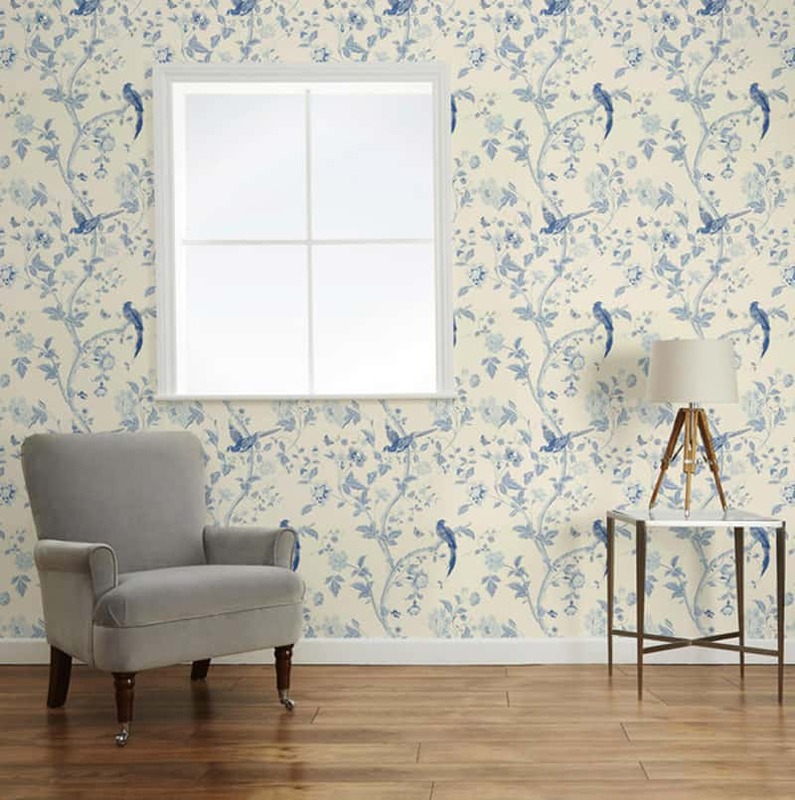 Try the classic drawings for a noble bourgeoisie touch or go for abstract floral wallpapers if your home shows interest for the actual. 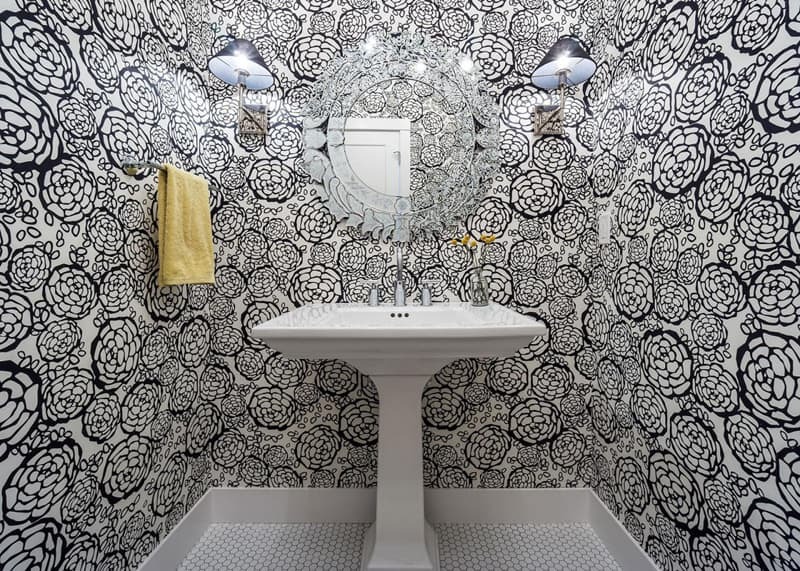 Both patterns and textures follow various forms of expression and adapt to our needs. Our gallery features contemporary hot designs ranging from efflorescent gardens and lush vegetation to diaphanous garlands and vivid wreaths. 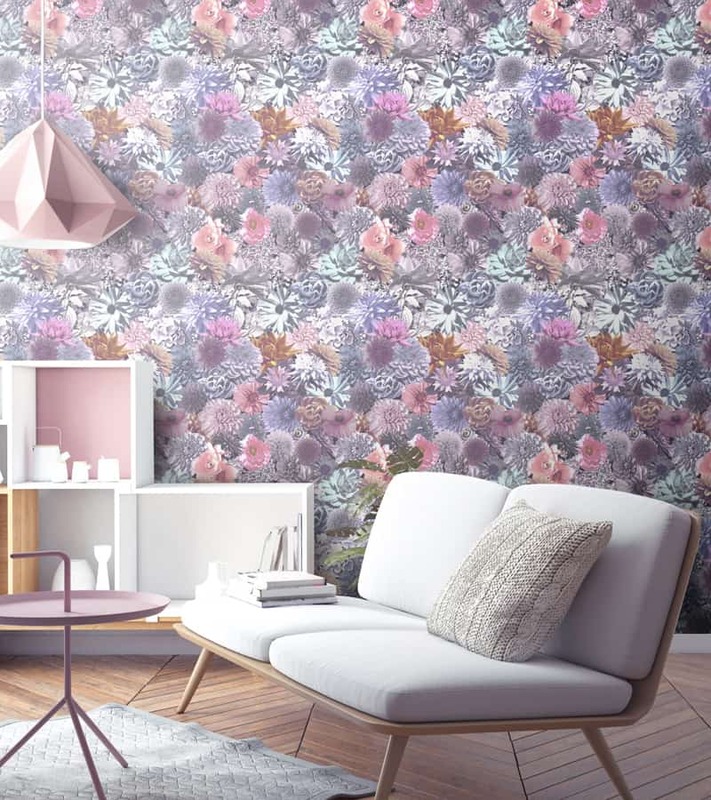 Finally, discover 42 examples of flower wallpaper in the amazing selection below! We usually consider the covers in bloom marks of romantic decors, but many of them integrate easily in urban cool environments as well. 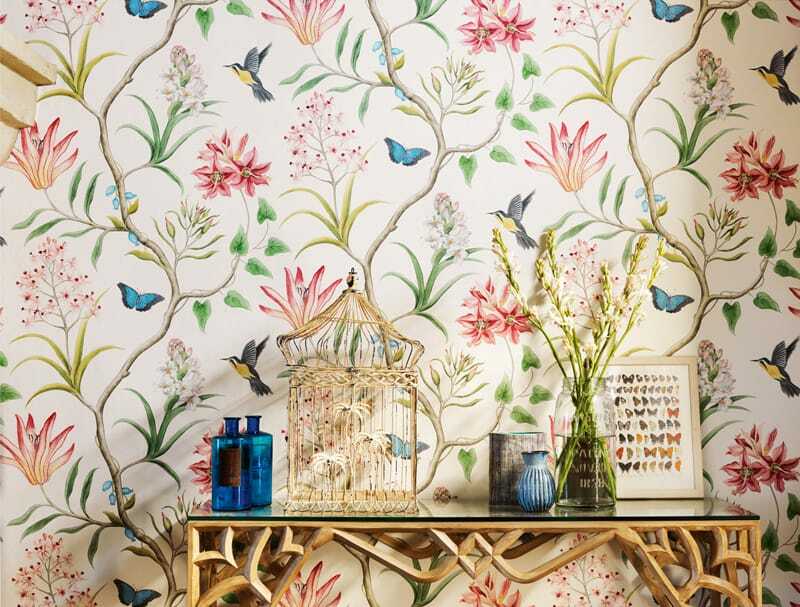 Pick either a design that repeats one single pattern – perhaps unicoloured – or one that plays with motifs and figures. 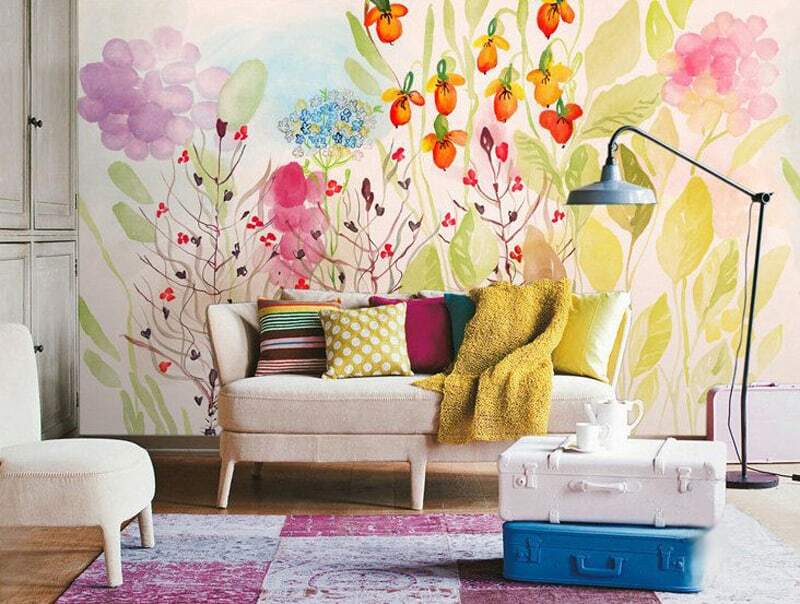 The latter will make the room look like an effervescence of colours. They only aspect you should take care of is their dosage. 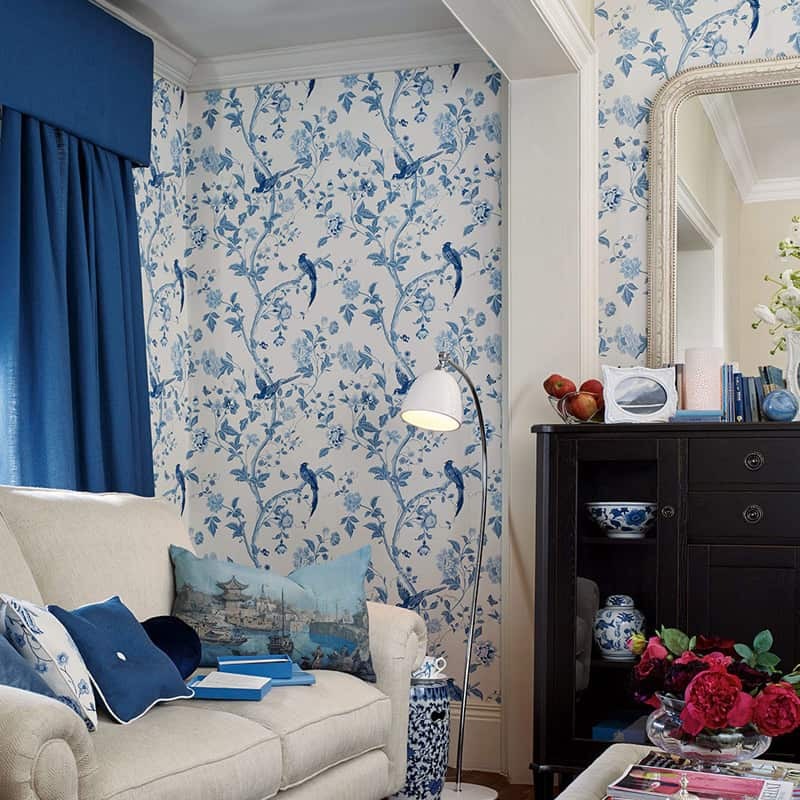 It goes without saying that we want comfortable, airy rooms … so mix them smartly. Every home has spaces and spaces. Ones are open plans used for relaxation and are usually furnished with minimum ‘information’, while others are working places that need bunch of accessories. For example, the cooking sanctuary. 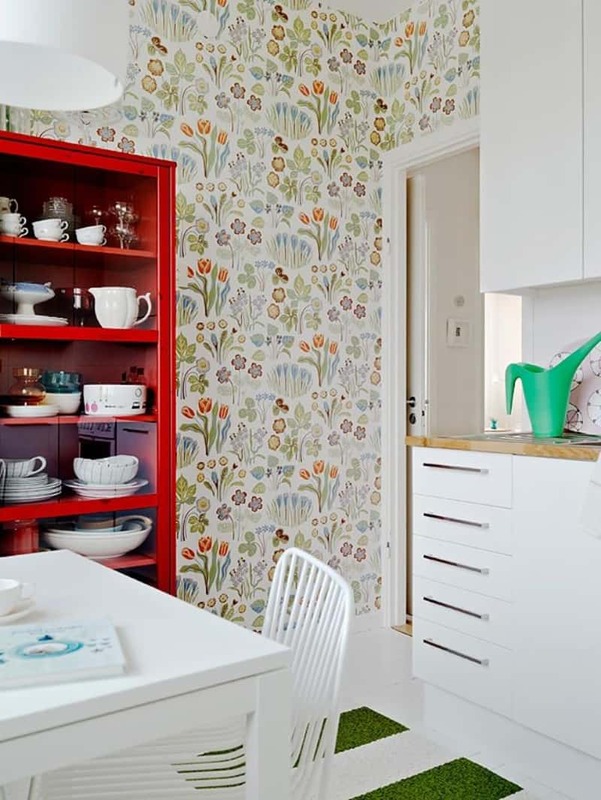 A kitchen flower wallpaper should feature airy patterns and light hues so that it matches smoothly with cabinets and utensils in the cuisine. 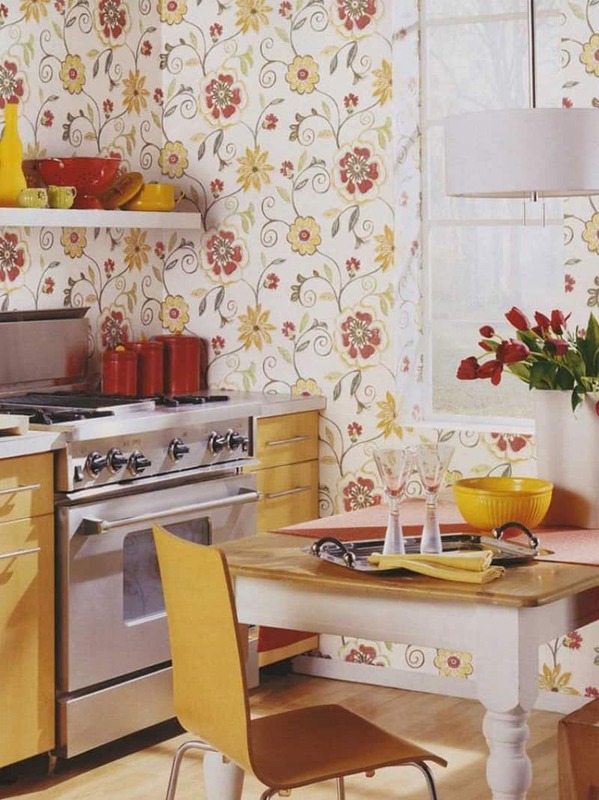 Consequently, pick similar covers for your kitchen! 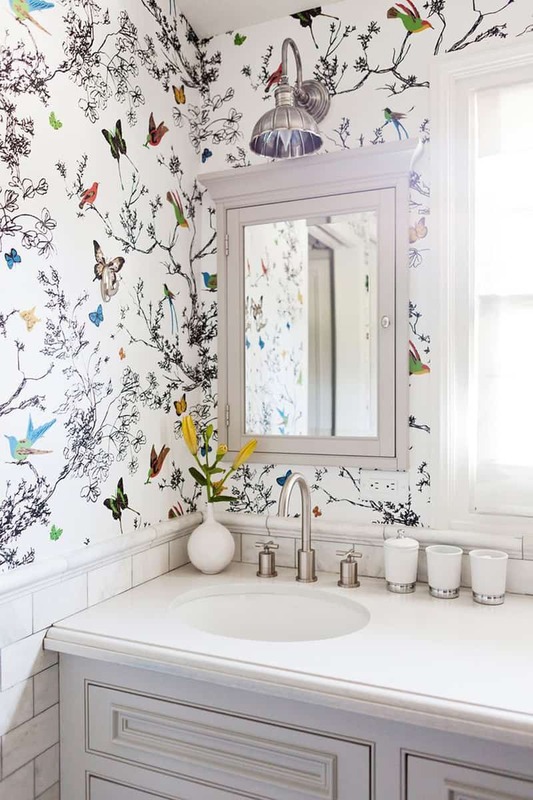 Looking for a daring design in your bathroom? 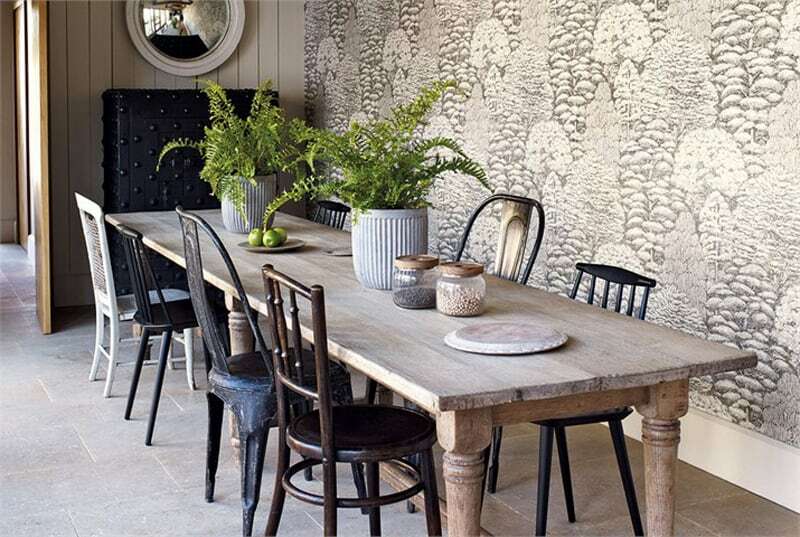 Then go for a textured wallpaper. Featuring elaborate details and extravagant architecture, they bring the beauty of ancient palaces inside. 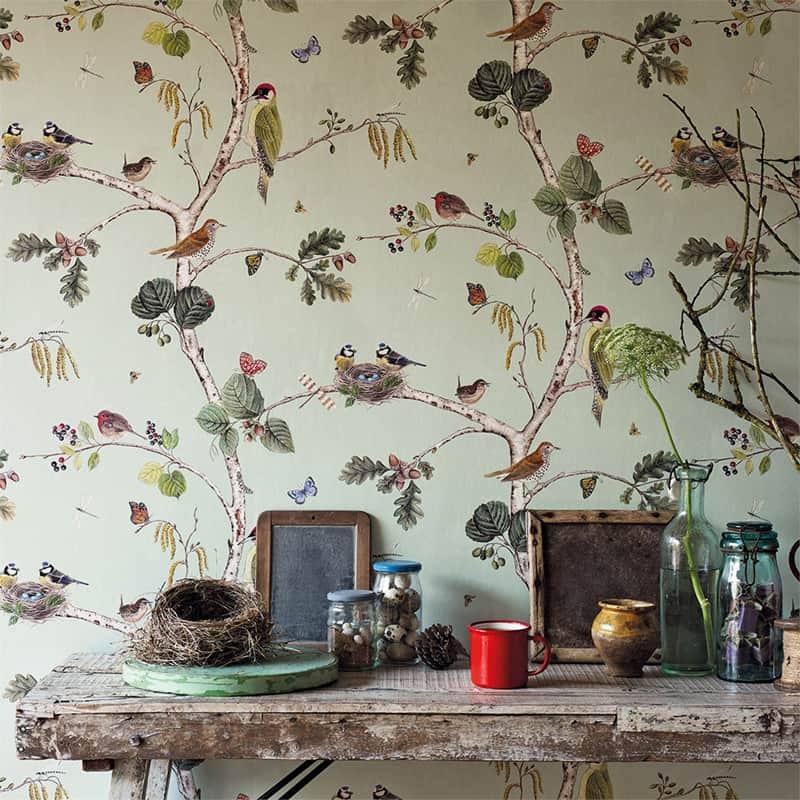 Rich, catchy and even opulent, these printed covers add personality to your interiors. 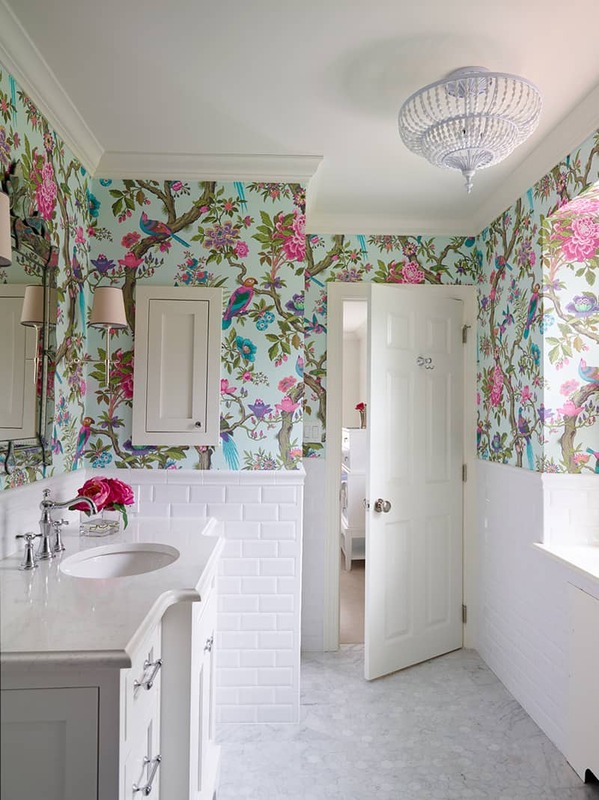 For this reason, they are widespread in many contemporary lavatories and rest rooms. On the other hand, if you want a wallpaper near the bathtub, you have to pick a water resistant one. 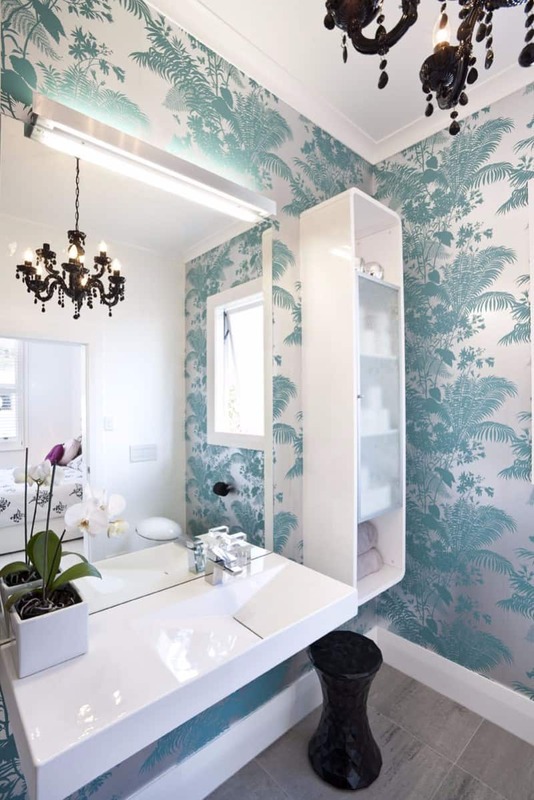 For misty environments such as bathrooms, fitness and wellness centres, try a flower wallpaper that combines, in only one system, the waterproof properties of liquid membranes with ornamental characteristics. Also, pay attention to small spaces. 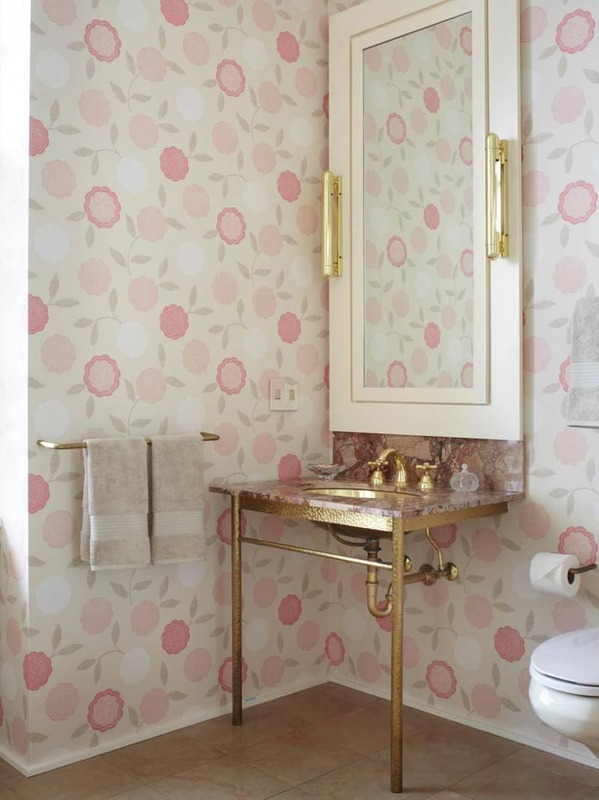 Rest rooms are not generous spaces so, a tiring, congested pattern would make it look tiny in size. 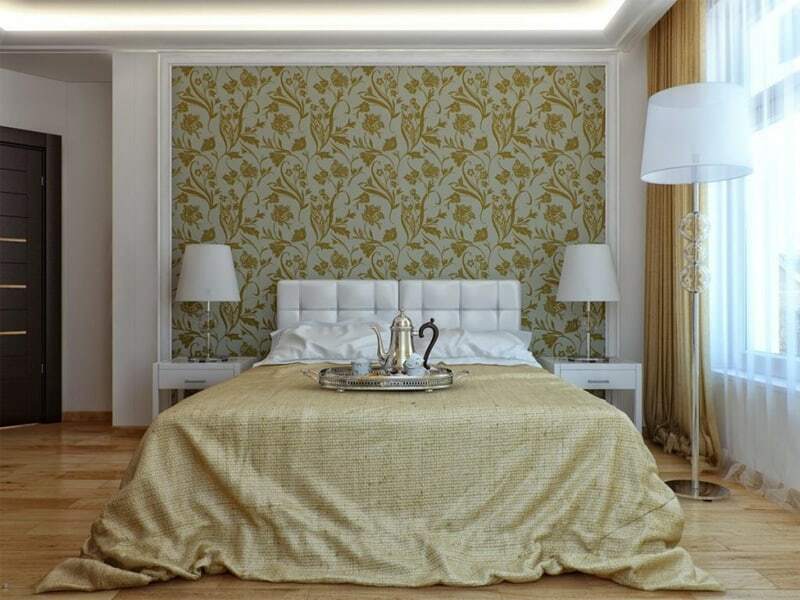 Thus, choose an uncluttered design in light tones. Seems like vivd tones are welcome inside! 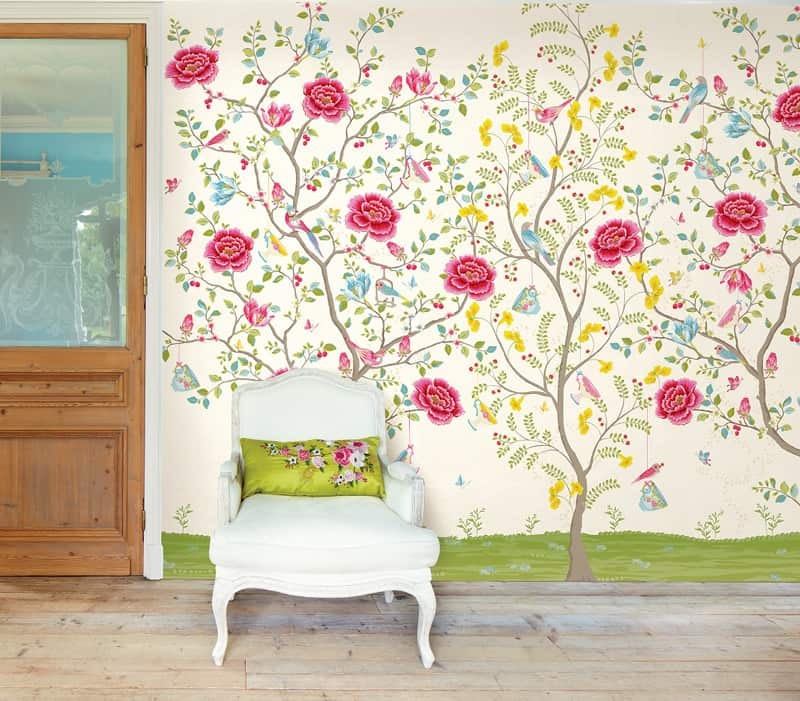 This fairy like wallpaper is perfect for a child’s room, but also for a shabby chic living room. Most noteworthy, its power to animate the space is irresistible. Almost every item in this gallery features an original ingredient. First of all, make sure it fits well in the selected space. Vintage is the most exciting fitting of the moment. From fashion to design, the trend is present everywhere. Most of all, it echoes moments from the past and marks the interiors with a noble aura. 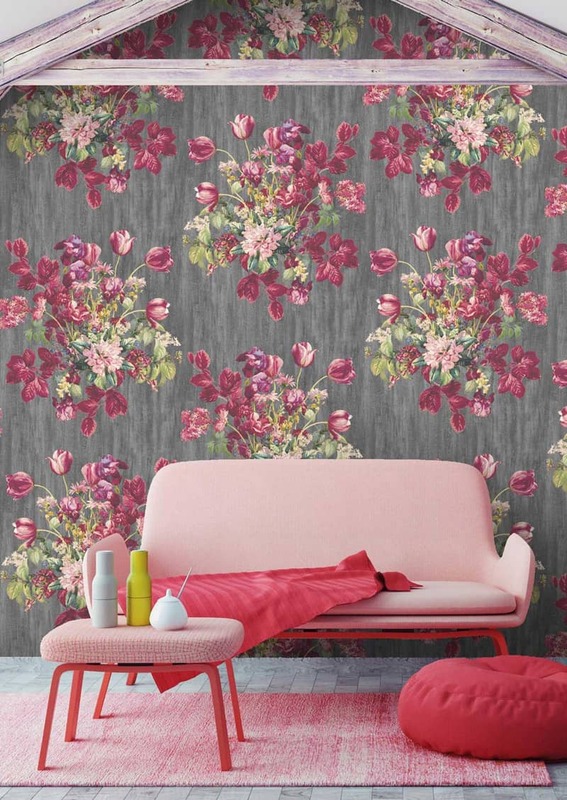 Thus, a mix of lemon leaves and pink flowers in a blossoming composition feels contemporary nowadays. 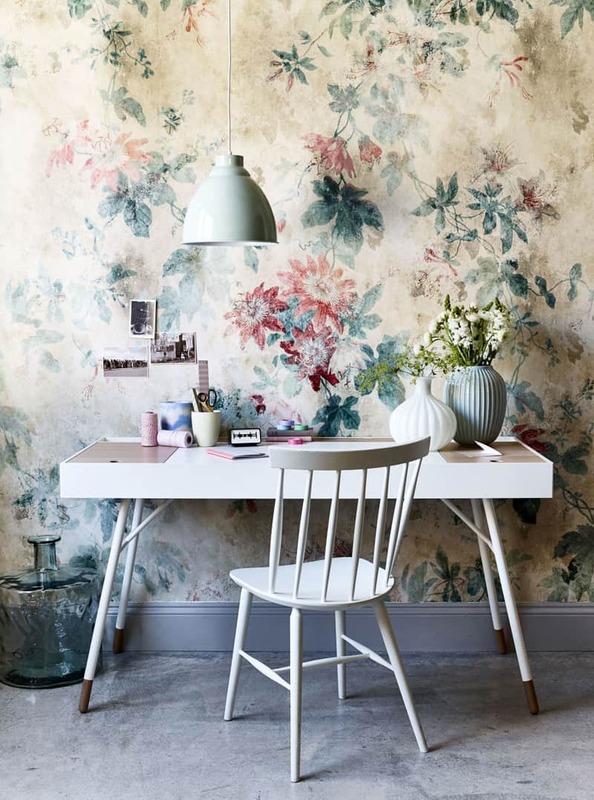 So, what about a green floral wallpaper? The one above is amongst my favourites. 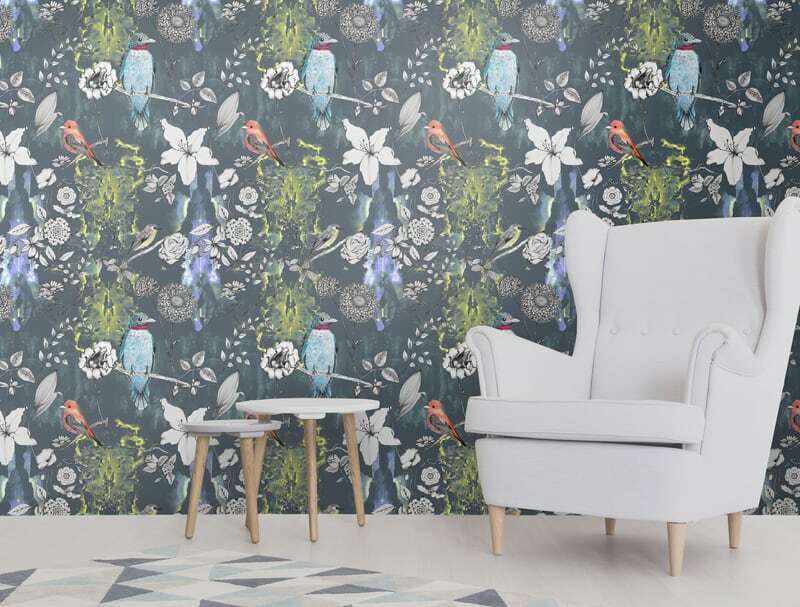 This high baroque layout with lush vegetation and colourful birds impose grace, elegance, sophistication. Therefore, this refined room feels very cosmopolitan. To compensate its opulence, the furniture nearby has to be simple, almost invisible. 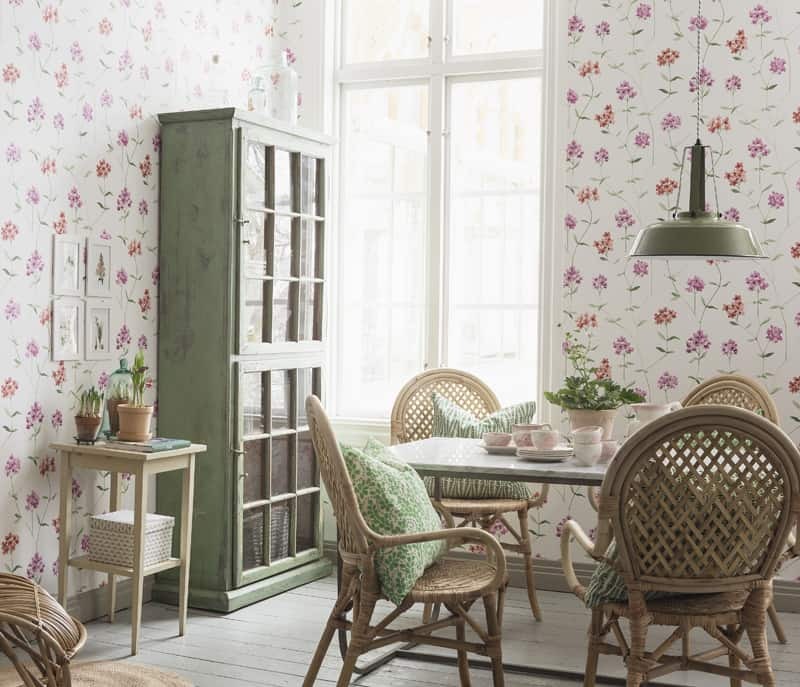 The Scandinavian white set – a comfy large armchair with two low level tables – integrates easily here. 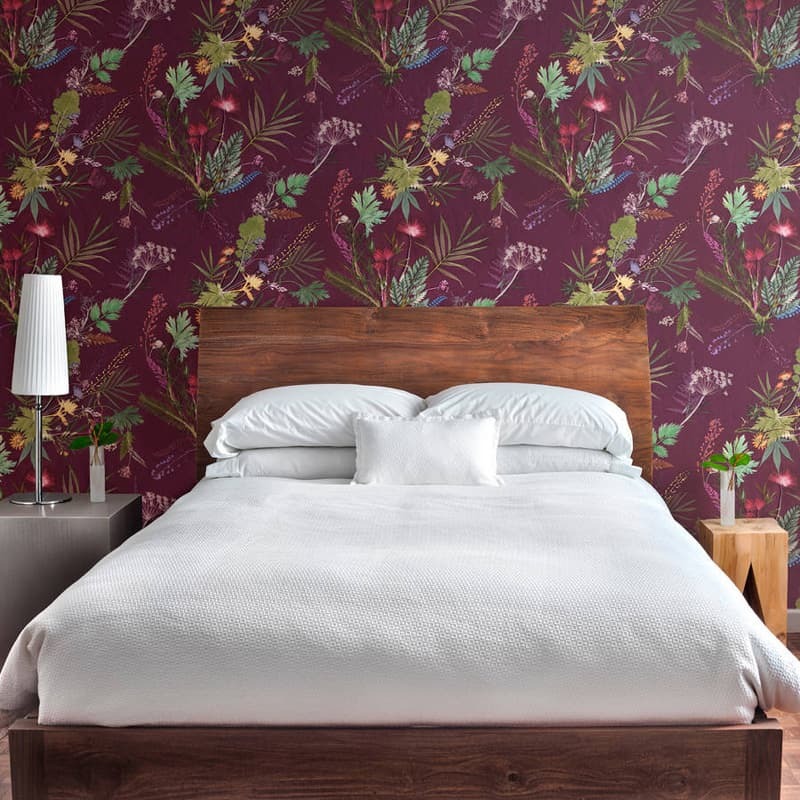 Are you looking for a special wallpaper and do not know what to select from the market? Prices are as diverse as materials and finishings are. A common roll with, let’s say, an honourable print, would start from 9$/ package (10.05 x 0.53m). 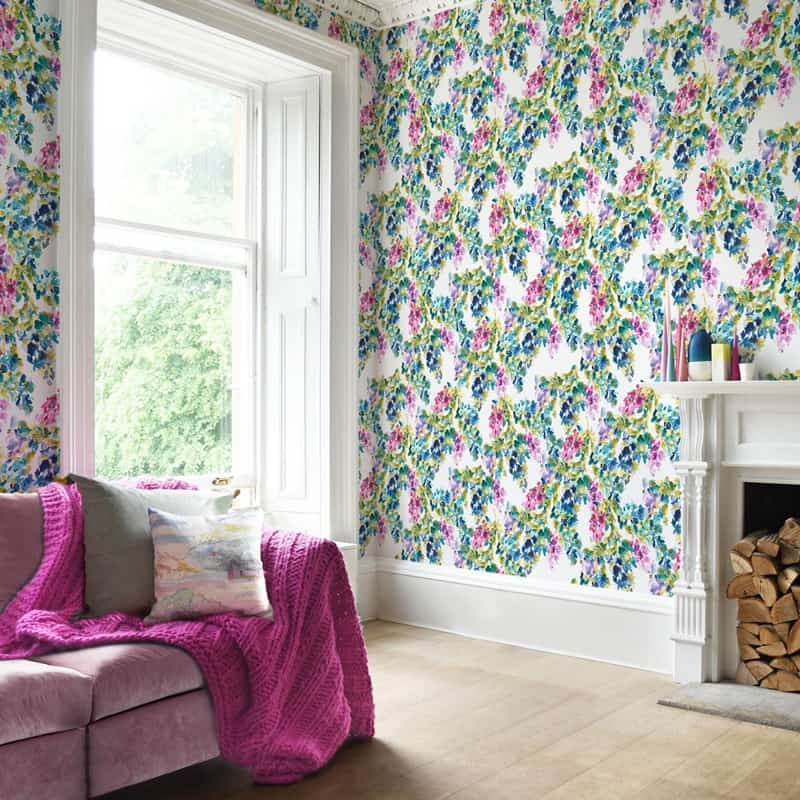 This is the cheaper wallpaper section. Generally speaking, you can use these types in hallways, storage areas, closets etc. 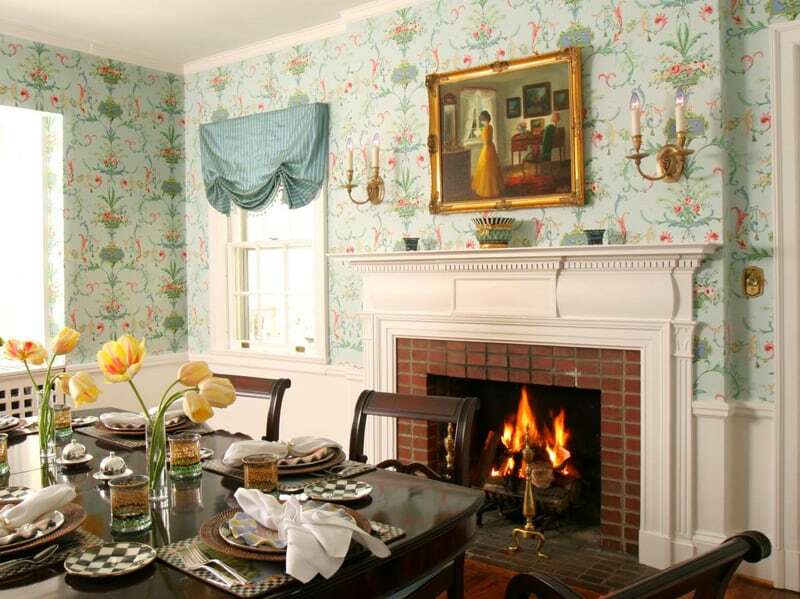 Dining rooms and livings should show off a little. 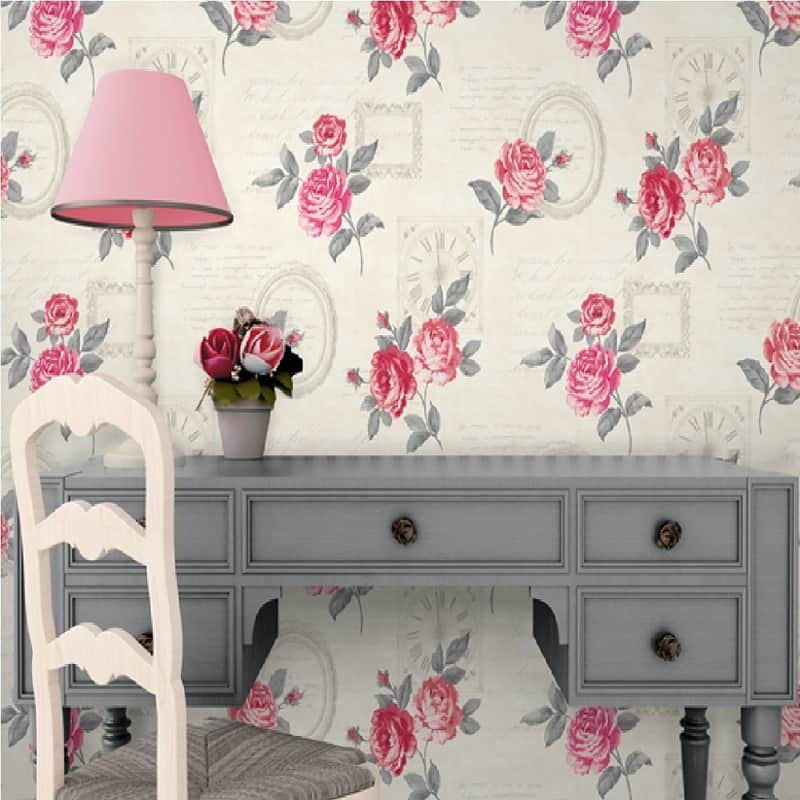 Glam wallpapers with golden or silver insertions might be a good choice. 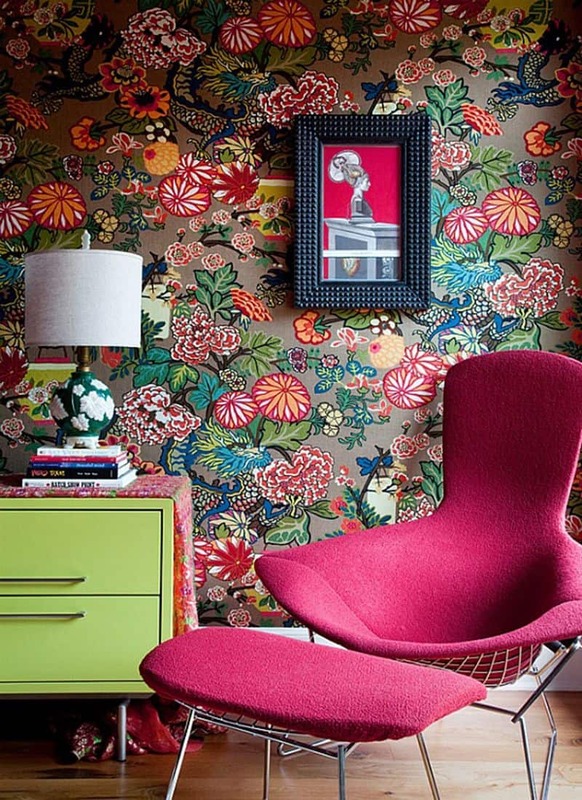 They create a vibrant and alluring space. What about fixing techniques? 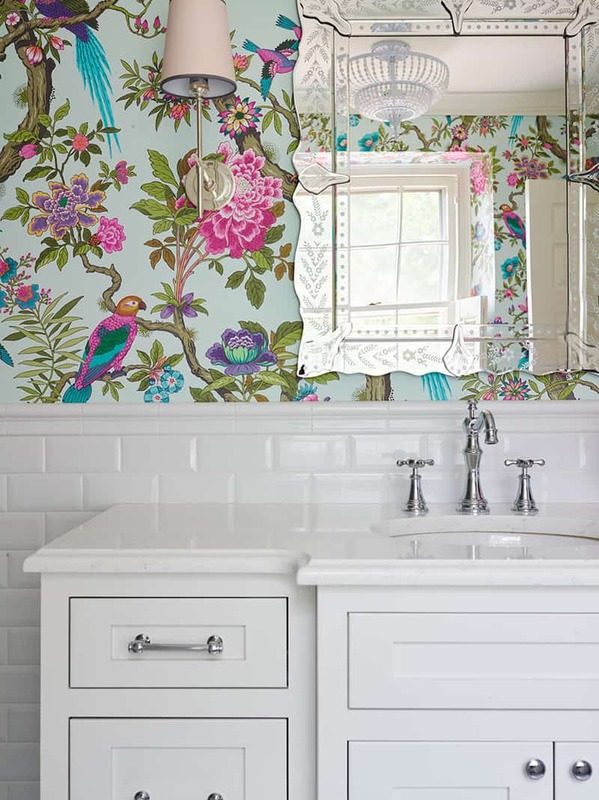 Are you good at wallpaper borders or do you rely on removable wallpaper in case it did not stick well? How do you repair bubbles, gaps and tears? Here are some suggestions! The kit: tools (brush, cloth, sealant dispenser) and materials (white glue, paint, caulk). 1. Firstly, filling corners edges. Apply caulk evenly, making smooth droplets along junctions. Then polish with a wet finger or sponge to remove lines. 2. Secondly, filling the gaps. Use some all-purpose decorating filler to hide the imperfections. Let it dry and then use a sponge to smooth the ridges. 3. Thirdly, hiding the seams. 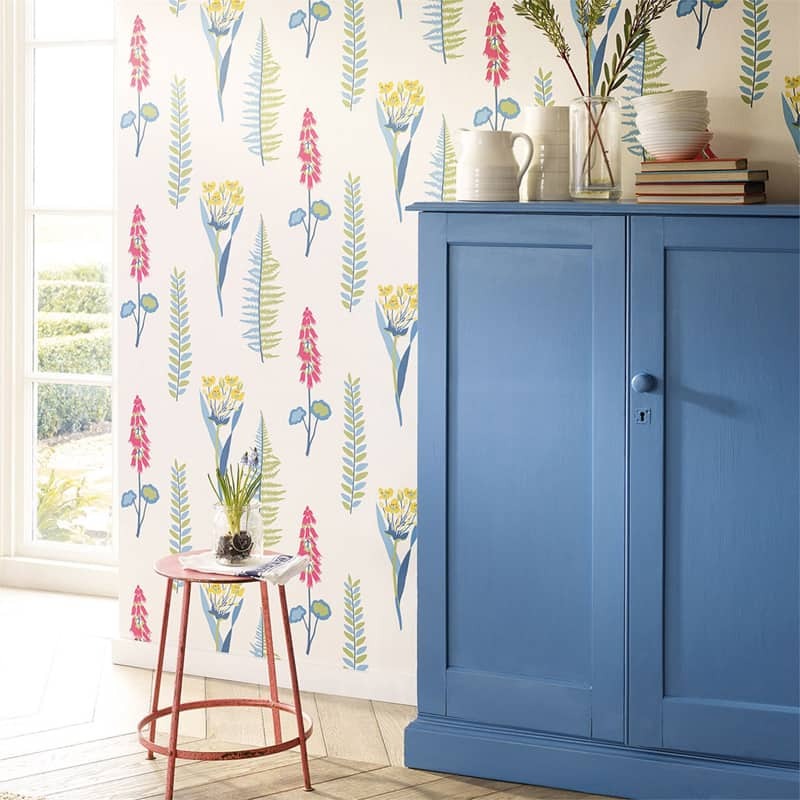 For an immaculate finish, paint the background with a colour similar to the wallpaper base. When fixing two wallpaper sheets, you will see they work amazingly together. 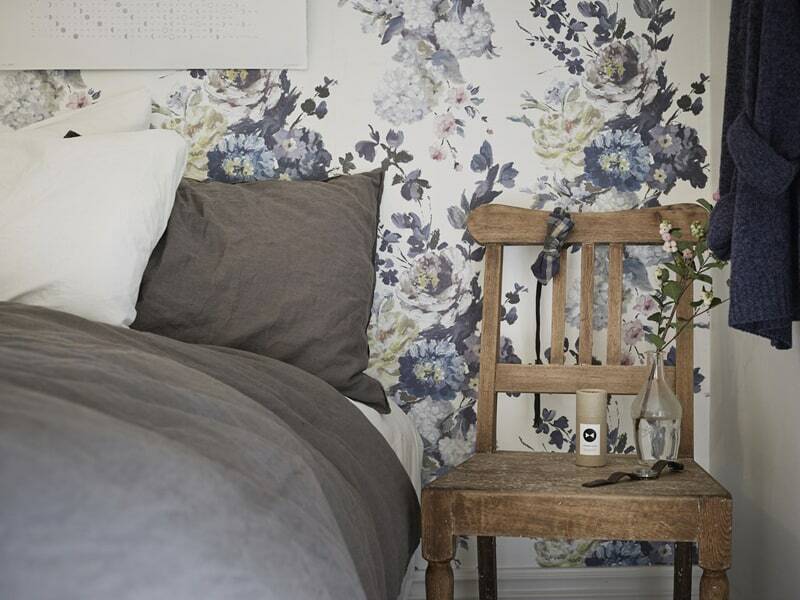 In most of the bedrooms, you find the sleeping area marked by a wallpaper. Again, this is a way of highlighting or delimitating the areas. Instead of rigorous limits, colourful boundaries mark the space. 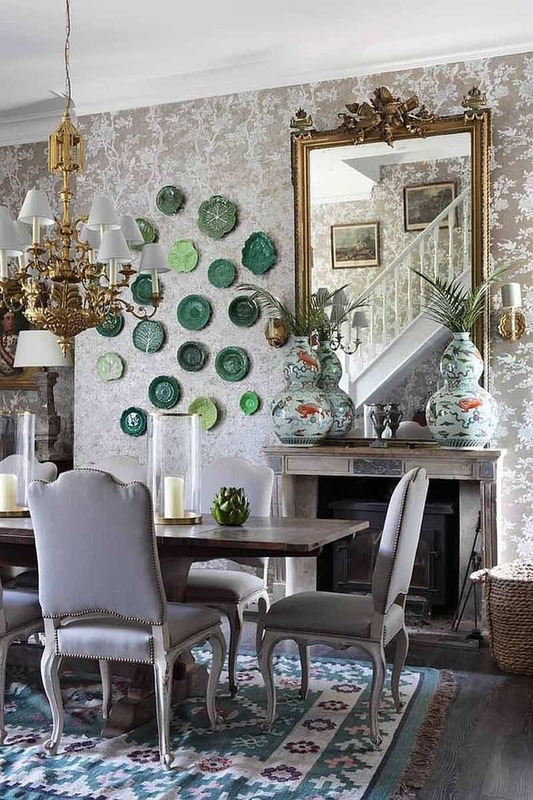 Furthermore, the accessories on every side accentuate the symmetry of the room. Since classical layouts explore stability and equilibrium, they brings comfort in a room. As a result, the inhabitants feel relaxed. 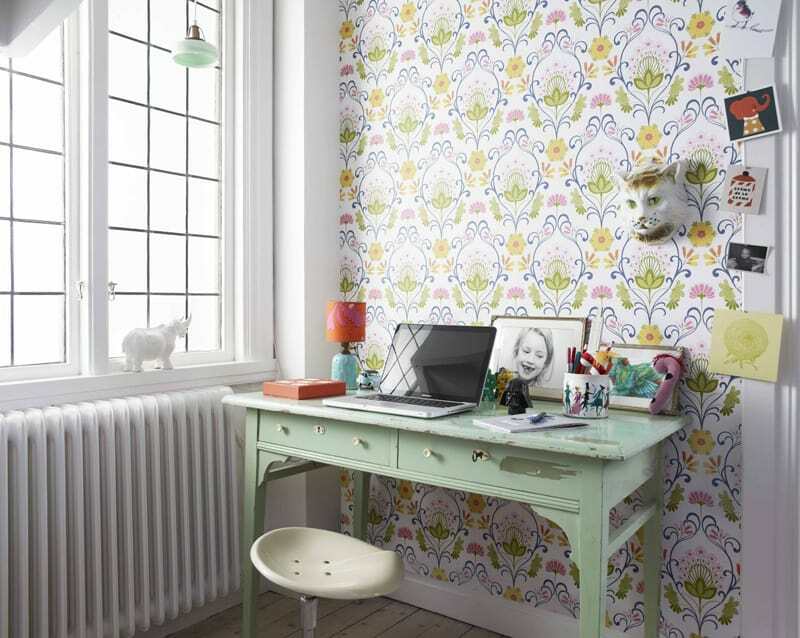 Moreover, the colours – paintings, photos, wallpapers, textiles – influence our mood. 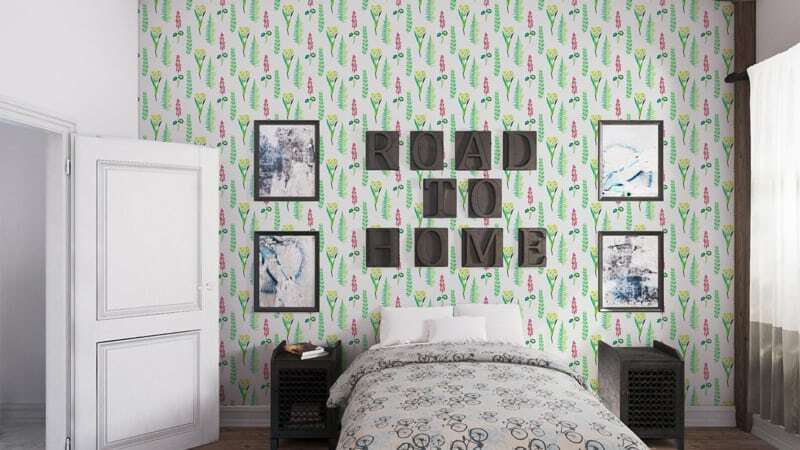 Hence, go for a black and white floral wallpaper if you want a piece of drama in your bedroom. And strong contrasts animate the interiors. Probably one of the classiest examples in worldwide design, mixing white with black feels elegant and graceful. 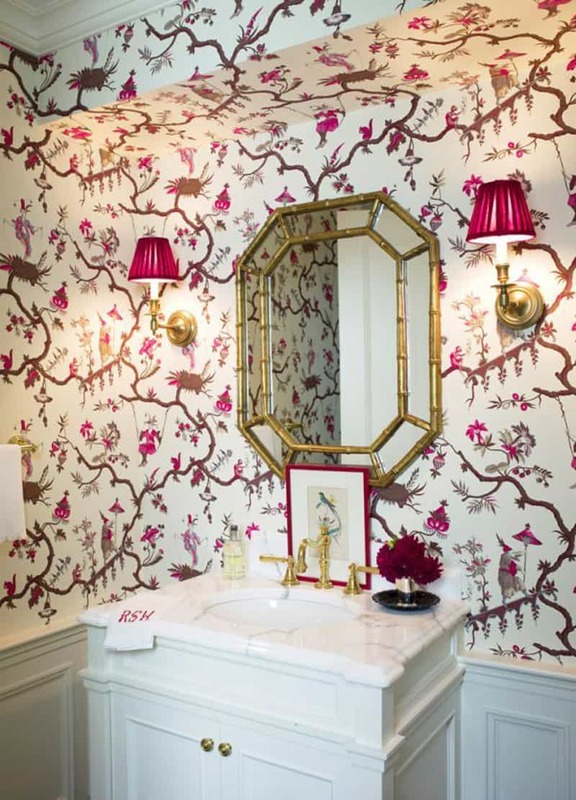 As a result, the home gets charm and artistry. Explore the classic style because it gives harmony to your home. Maybe you’d like to pamper your senses in a vintage tube, admiring the garden? The interior is classic yet fresh and contemporary. 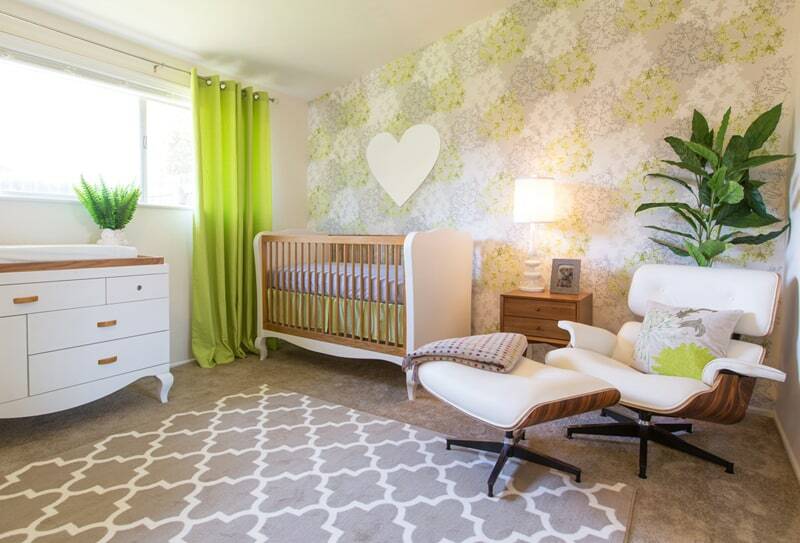 Due to a generous amount of white, the room feels airy and bright. 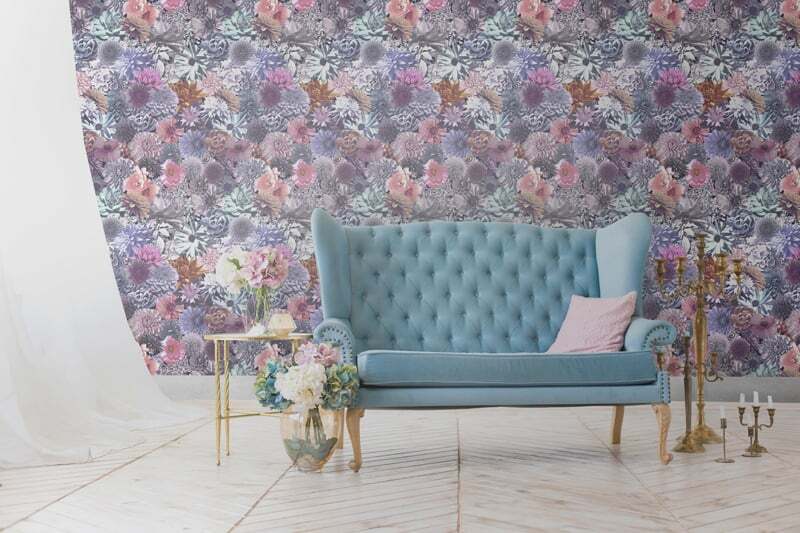 The post Flower Wallpaper For Murals With Personality appeared first on DesignRulz.